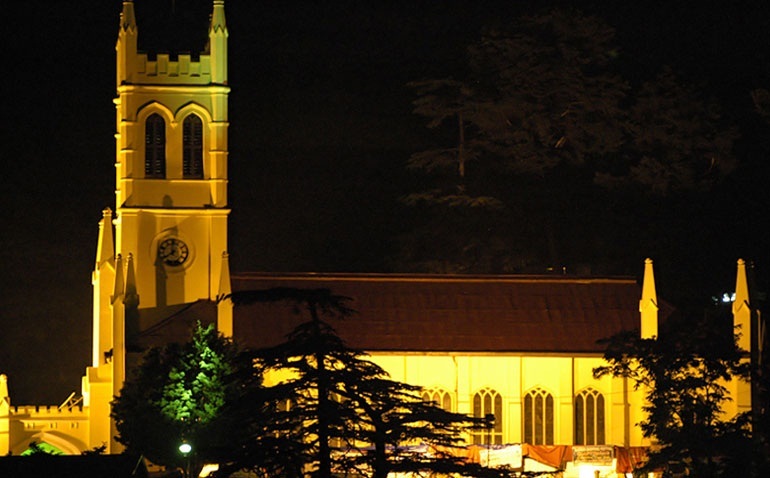 Built in the neo-Gothic style in 1857 to serve the largely Anglican British community in what was formerly called Simla, Christ Church is situated on The Ridge. It stands out as one of the prominent landmarks of Shimla and its silhouette is visible for kilometres around the vicinity of Shimla city. Christ Church is one of the enduring legacies of the British Raj. Christ Church was designed by Colonel J. T. Boileau in 1844, and the church was consecrated after 1857. The clock adorning Christ Church was donated by Colonel Dumbleton in 1860. The porch was added in 1873.